The chief executive of cryptocurrency company Quadriga CX has died, and he’s apparently the only one with the ability to unlock all his customers’ coins. In one case, a billionaire’s children damaged a Basquiat painting by throwing cornflakes at it, and the crew added to the damage by trying to wipe the cereal off. Another yacht was the site of an unfortunate incident involving a champagne cork and a multimillion-dollar painting. On another, crew members having a pillow fight accidentally broke a £75,000 lamp. Those issues seem less related to yachts than to human behavior, but what do I know, I don’t own a yacht. 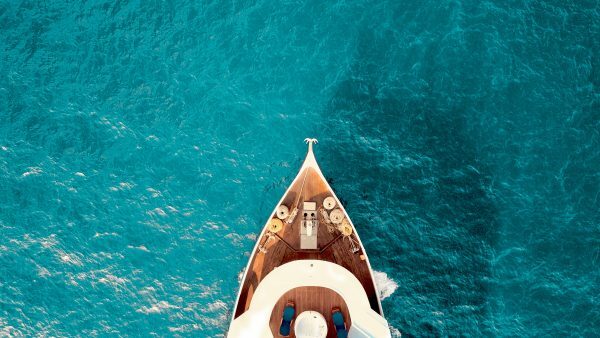 It’s also worth noting that using superyachts as floating art galleries isn’t just a way of bragging about how much money you have — in some cases, it’s also a form of legal tax avoidance. Warren has proposed a series of aggressive new enforcement policies designed to prevent the wealthy from escaping it. She wants to dramatically beef up funding for Internal Revenue Service enforcement. She’s proposing a new requirement that a minimum number of very wealthy taxpayers face an audit annually, aiming to ensure they are not hiding assets from the tax collector. Photo by Mohamed Masaau on Unsplash.